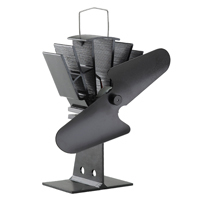 Genius idea that simply sits atop your stove and is powered by the rising heat, circulating warm air around the room. 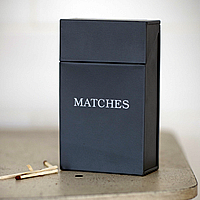 We guarantee you'll feel warmer...why has this only just been invented it's amazing! 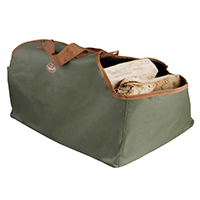 Sturdy canvas log bag, perfect for carrying and storing logs to the wood burner or open fire. 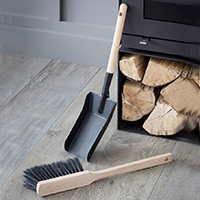 Simple yet stylish galvanised dustpan and wooden brush set with a classic look. 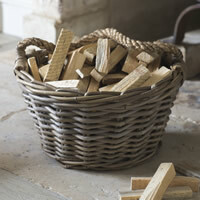 Rattan storage basket with rope handle. 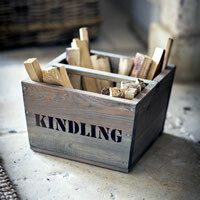 Great for storing kindling wood by the fire, toys in the living room or for collecting home grown fruit in. 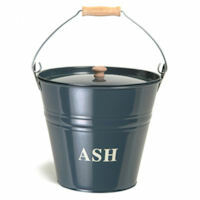 Lidded storage box to stop your matches getting damp and soggy before lighting the BBQ, bonfire or hearth etc. 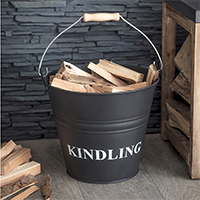 Stylish and sturdy item to store your kindling wood by the fireside. 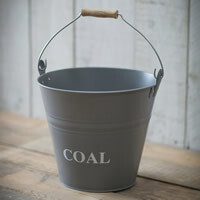 At last, a stylish looking bucket to store the coal in next to this winter's roaring fire! 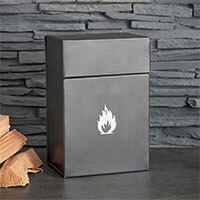 Much better looking than traditional coal scuttles.